Announcement Hey there! 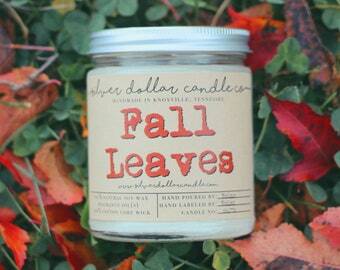 Welcome to Silver Dollar Candle Co. Our Current Processing Time is: 1-2 business days. 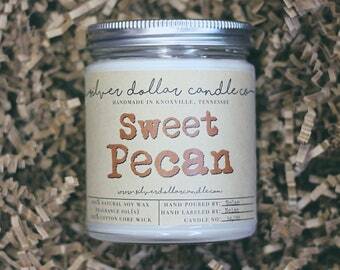 Scented Soy Candles, Personalized Candles, Hand made Candles, Mother's Day Candles, small batch hand made and poured in Knoxville, TN by Silver Dollar Candle Co.
We offer small batch hand poured, hand labeled container candles in a variety of great scents & aromas, including Banana Pancakes, Fresh Cut Grass, Brazilian Coffee, Strawberries & Cream, Cinnamon Pumpkin Cheesecake, Pumpkin Spice Latte, Rosemary & Mint, Lavender and Vanilla, and many more- including our signature "Bacon & Bourbon" man candle! Thanks for stopping by our shop- we hope you find something you'll love. Like what we do? Give our shop a favorite! Hey there! 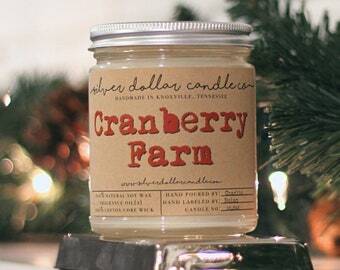 Welcome to Silver Dollar Candle Co. Our Current Processing Time is: 1-2 business days. You know it, she knows it. For “Cool Moms” everywhere and you can pick from our huge list of awesome scents she’ll LOVE! Happy #CyberMonday! 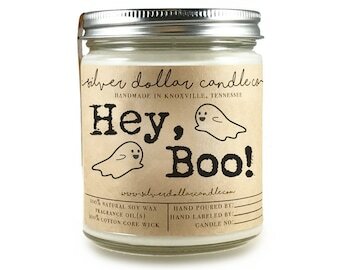 Here’s our most popular candle over the last 7 days http://etsy.me/2k2MsYo SAVE 20% when you spend $25+! 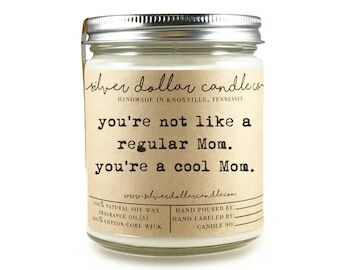 Silver Dollar Candle Co. Proudly calling Knoxville, Tennessee home. 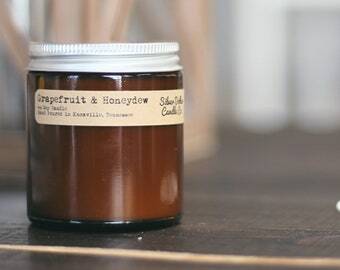 100% Soy Wax Scented Candles. Small Batch production, expertly fragranced & hand poured. 40+ Scents Available! Small scale processes for the ultimate care and attention of your order. 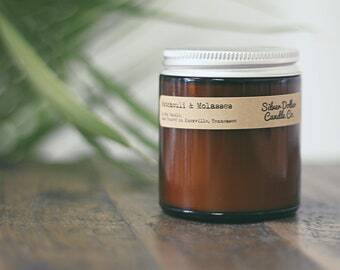 Silver Dollar Candle Co. - Your Home For Amazing, Hand-Poured Scented Candles Since 2015. 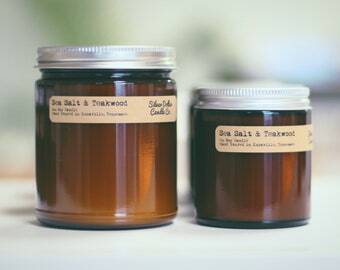 Natural, Beautiful Hand Poured Soy Scented Candles from Knoxville, TN. Back in December 2015, Kelli & Charlie officially opened up shop on Etsy, with just two aims. To share their candle creations with the world, and to turn this passion into a full time business. 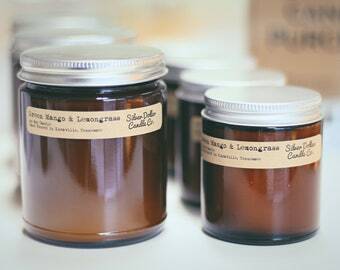 Almost 2 years on, Silver Dollar Candle Co. has become one of the biggest candle shops on Etsy with over 14,000 sales and more than 50,000 candles shipped globally, and those aims have now become a reality. 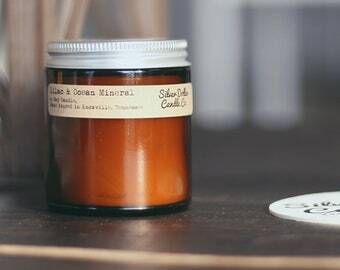 In October 2016, Silver Dollar Candle Co. moved into a dedicated Studio space in Knoxville, Tennessee to better fulfil the high demand, however the space was quickly outgrown. 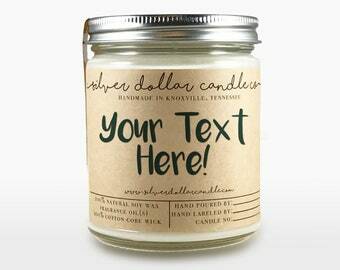 Silver Dollar Candle Co now operates from a 3500 sq/ft facility in the heart of Knoxville's Historic Old North district. Despite the rapid growth, our values remain the same, the best possible hand made, hand poured Scented Soy candles around. Each candle we create is individually made by hand in small batches- no mechanical process is involved - and each label is carefully hand-numbered upon application. This gives us the ultimate control over your order, and the way we're thrilled to be able to offer such wonderful customizations. 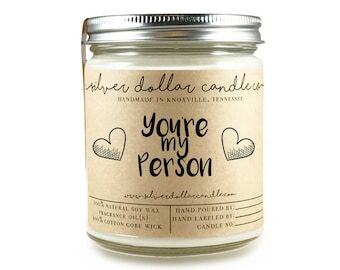 Understandably, scented candles aren't the easiest to buy online- but all Silver Dollar Candle Co. candles are highly scented and individually produced with detailed product descriptions. If you're unsure, get in touch beforehand and you can discuss your concerns with us. Customer satisfaction is extremely important to the business, so unless we're 100% satisfied with our work, it won't pass our quality control. We hope to see your order soon! Hi I'm Kelli! When I'm not hand making candles and picking wonderful scents for y'all to enjoy, I enjoy watching Baseball, reading and loving on my sweet kitty, (Queen) Eleanor. Hey, I'm Charlie! Passionate about small business, graphic design, social media and creating great products for happy customers! 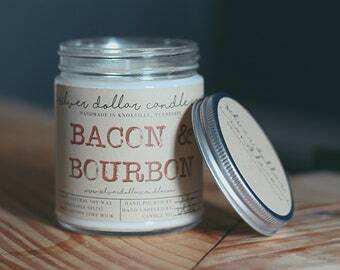 Nolan joined the Silver Dollar Candle Co. Team in 2018, as Production Assistant. 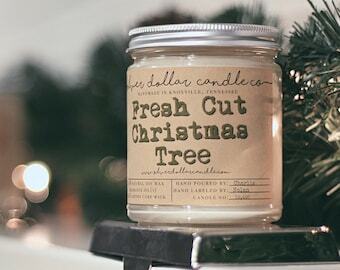 He helps us keep churning out beautiful, hand poured candles for y'all to enjoy! Cherie joined the Silver Dollar Candle Co. Team in late 2018, as Fulfillment Assistant. She works her magic ensuring every order is shipped out as quickly as possible making sure they look and smell as great as they should! Recognizing that great customer service makes for the happiest customers, Katy joined the team in late 2018 to help spread customer service awesomeness to one and all. We gladly accept Wholesale orders and request you get in contact with us to discuss options. Typically, we would like to find out where you will be selling/distributing our products and if you can include any links/images thats always helpful too! The first burn of the candle should last at least as long as it takes to reach all the way to the edges of the container. Failure to do this will often cause "tunnelling" which will limit the life of your new soy candle. Soy wax does not burn as hot as paraffin wax, so soy wax candles require a thicker wick, which does not burn 100% and may need to be trimmed regularly. Aim to trim your wick to about 6-8mm/ 1/4" before you re-light your candle. This will ensure a long lasting candle, minimize soot and remove any mushrooming of carbon on the end of the wick. Extinguish your candle by dipping the wick into the melted wax and straighten. This will stop the wick smoking and will help with re-lighting the next time. Please remember the candles are hand poured, not massed produced- and although every effort is made to ensure consistency, every candle will be different. 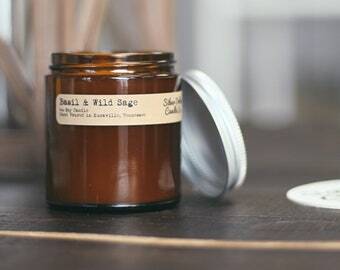 When using completely natural soy wax, sometimes you may notice darker patches or wet spots in your container candles. This is not a fault, simply a small blemish where the wax has not adhered to the glass 100%. The top of your candle may also appear slightly uneven, this is also a sign of natural soy wax being hand poured. We need a little time to create each order. During busy periods we will extend the maximum processing time accordingly. We will however, always try to ship long before the stated processing time wherever possible. Processing time factors in manufacturing time and length of order queue or any extreme circumstances (inclement weather, supplier delays etc). Processing time is in no way related to shipping time. As per our Policy section, we will gladly cancel an order if contacted within 12 hours, so long as the order hasn't already shipped. Custom or personalized orders cannot be canceled or refunded, especially if production has begun. Refunds will all incur a 10% re-stocking fee to cover the cost of administration and re-listing. Unauthorized returns will not be accepted or credited. We are very happy to add Gift Notes to packages, and personalize candles to your specification. Please note however, we cannot be held responsible for spelling mistakes, errors or typos in your message. We will generally copy & paste notes and personalizations to ensure accuracy - please proof read your messages & personalizations! Please note, during busy periods- we aren't always able to view buyer notes left at checkout until the orders are processed. We are not responsible for delays or damages caused by shipping carriers such as USPS and FedEx. Similarly, lost and stolen packages must be handled with the respective carrier and local law enforcement. What's your most popular scent?! Typically, Lavender Vanilla is our most popular candle scent for all occasions. Thanks to its light, fresh fragrance and inoffensive notes it makes for a great choice especially if you're not 100% certain what you or a recipient loves! Checkout said my order would ship by USPS, but tracking shows it's coming from FedEx? In an effort to provide the best experience for our customers, we're proud to offer FedEx 2 Day shipping on many qualifying orders of two or more candles. Etsy's Shipping settings don't allow us to offer both USPS and FedEx simultaneously, but rest assured if your order is shipped with FedEx it's only because it'll get to you much FASTER than USPS could offer. This has helped us reduce transit times for many West Coast and Rural areas by as much as 4 business days.